Good stuff on Blu-ray Disc today headlined by director David Fincher’s The Social Network, an interpretation of the creation of the most popular social website today known as Facebook. 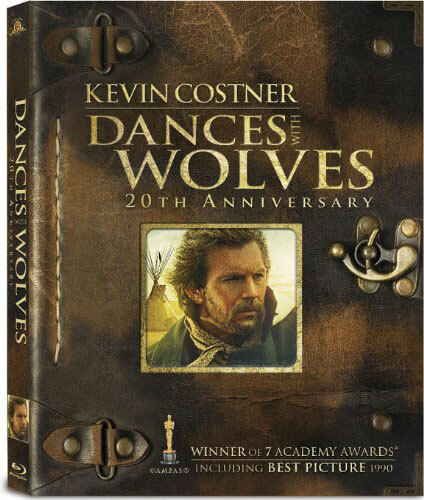 Seven-time Oscar winner Dances with Wolves also hits the shelves today on Blu-ray Disc as a 20th Anniversary Edition. The film was directed by and stars Kevin Costner. Once Upon a Time in America is now available in hi-def and is one of our must-haves on Blu-ray Disc. The film stars a cast of unknowns such as Robert De Niro, James Woods, Elizabeth McGovern, and Joe Pesci (heh, heh). And, a film definitely worth watching on Blu-ray is Jean-Pierre Melville’s Army of Shadows about the French Resistance during World War II. Here’s a link to all Blu-ray Disc releases this week.